It’s official. 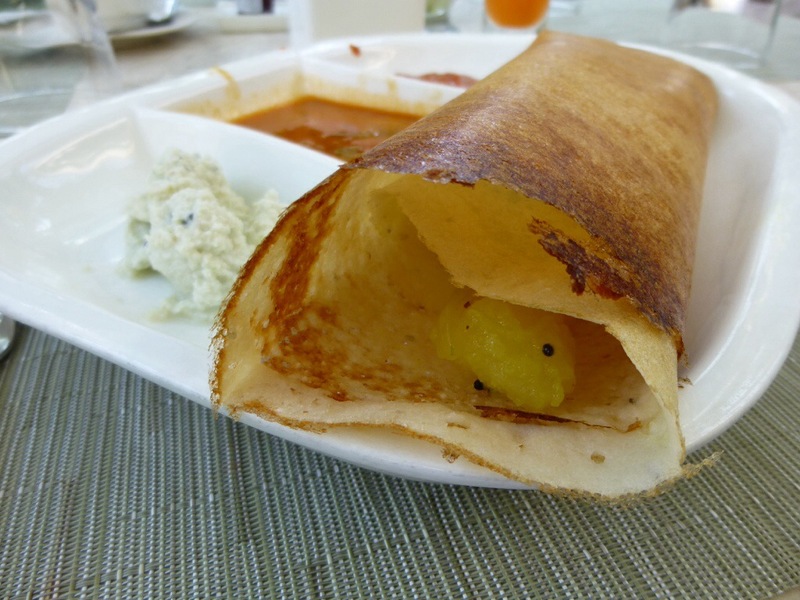 Bangalore’s weather is perfect, and so was our Bangalore breakfast! 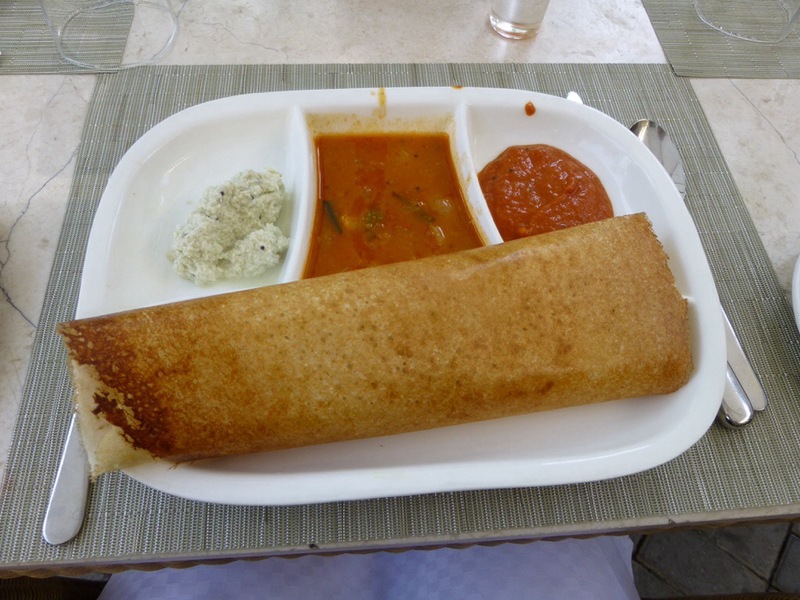 This one was served with coconut chutney & tomato chutney, and yes, it was as good as it looks. Traditionally, vada (deep-fried lentil and rice fritters made from the same fermented batter as dosa) are also served as an accompaniment, and these were the best I’ve ever had. 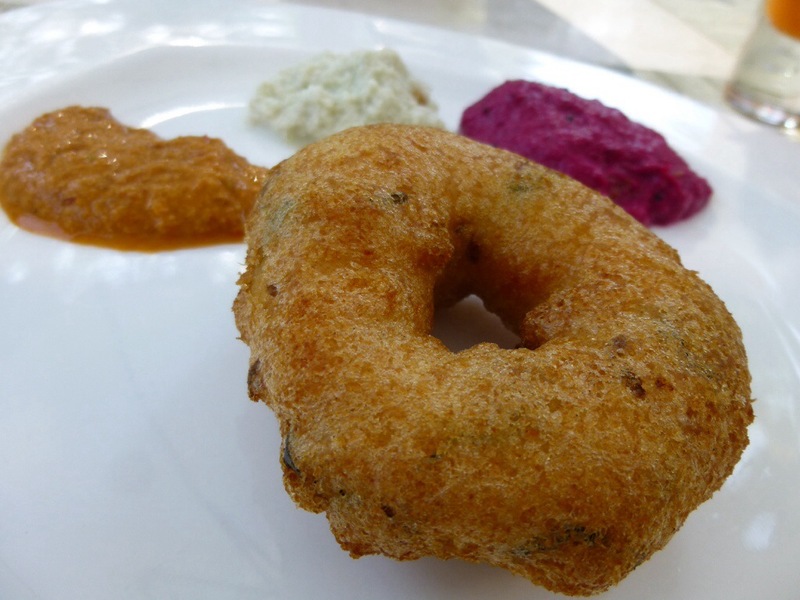 They were supremely light and fluffy, and served with peanut chutney, coconut chutney, and fuchsia beetroot chutney! And of course, fresh fruit. 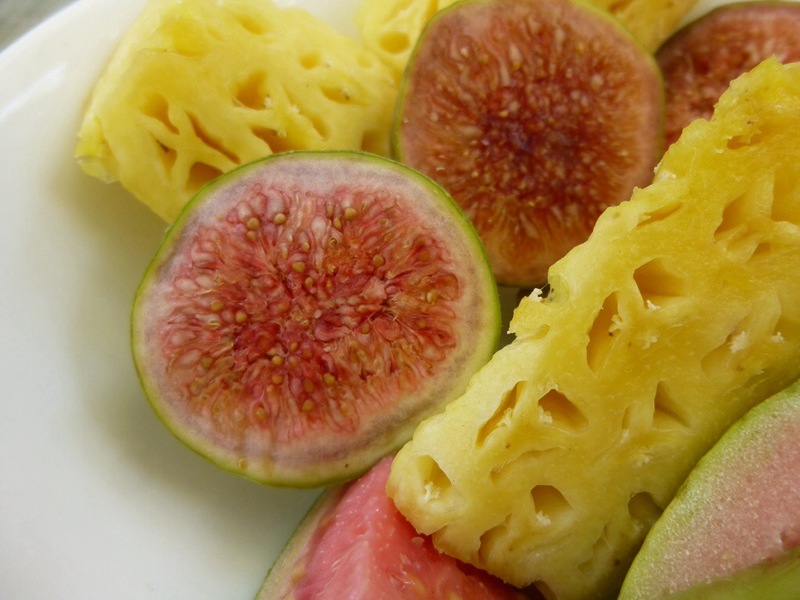 The pineapple was so sweet and tender, and I was so excited to have FRESH FIGS, kiwi, and GUAVA!!!!! I love the smell of guava, it makes me feel tropical and happy. 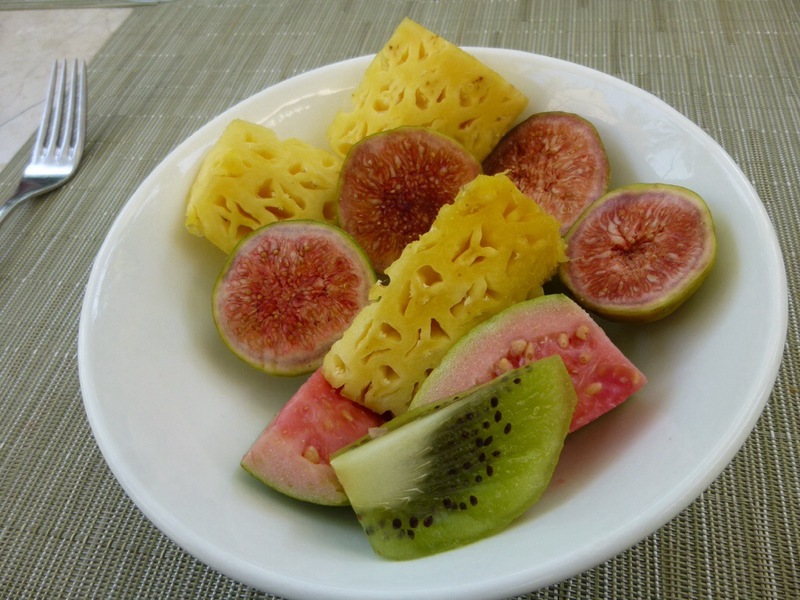 But my guava excitement soon faded, after having a slice made my tongue go tingly. 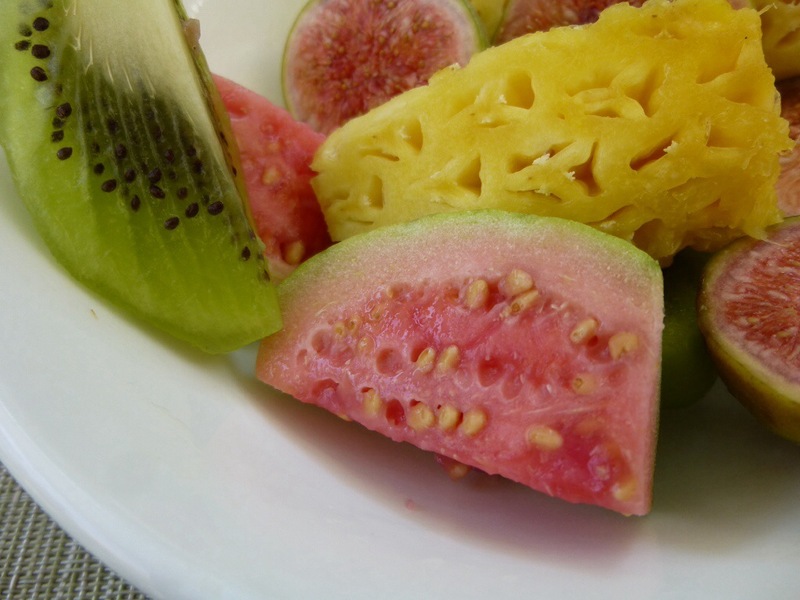 I have no idea what was going on, but I’m going to be staying away from guava from now on. After breakfast we had a bit of a chill before boarding our train (stay tuned for all the amazing train food and sights! 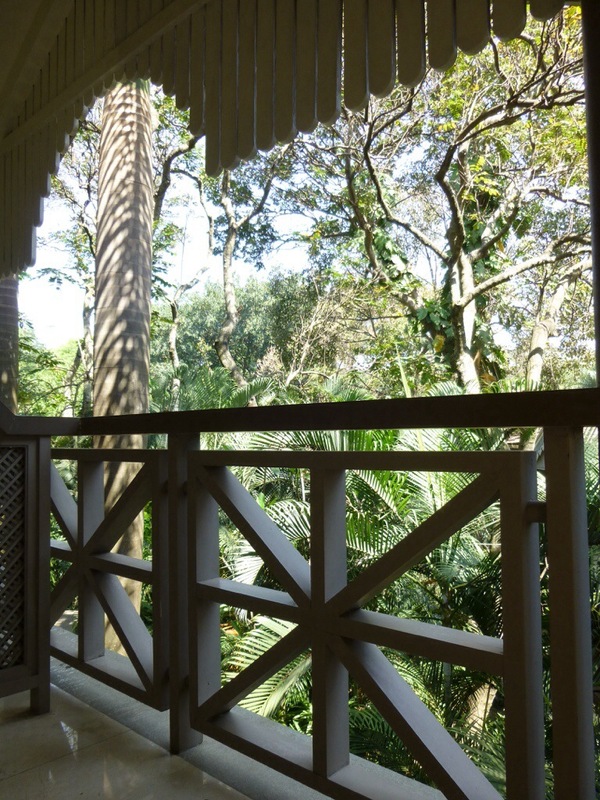 ), so we got to enjoy the view along with some time for journaling and listening to the birds.